You wouldn't be too far off describing barbecue as art form, requiring skill and patience of the highest level. That's why we have made it our defining and guiding principle to only use the highest quality product possible. Our meats are locally sourced from Golden Gate Meat Co. in San Francisco, and must be USDA Prime (brisket), Natural & Organic to be worthy enough for our smokers and loyal customers. All of our meats are dry rubbed each with their own special rub blend before entering a specific custom rotisserie, real wood-fired barbecue smoker. 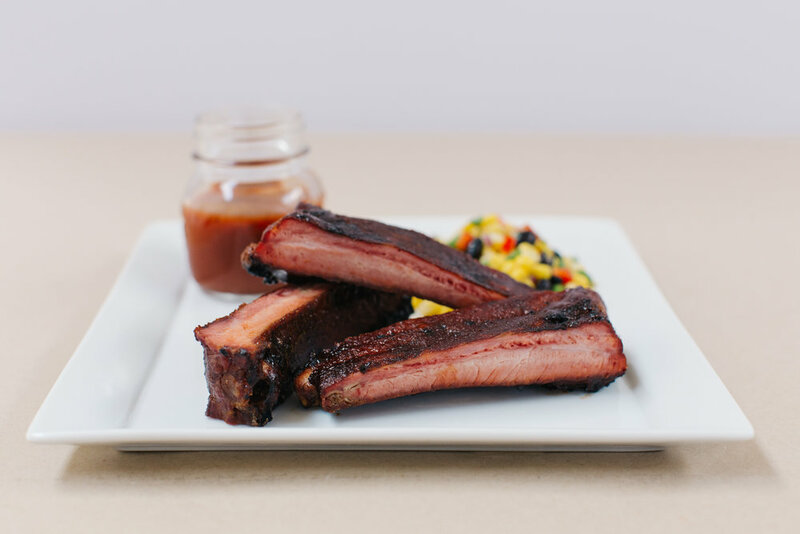 Our meats are carefully smoked from 4- 18 hours with a custom blend of oak, pecan, and applewood to impart a rich smoky and sweet flavor to our meats. We know that you're gonna love our barbecue and taste our passion when you savor your first bite. At Capelo's Barbecue, we're as passionate about catering and satisfying your guests as we are about perfecting our craft BBQ. You can enjoy our delicious BBQ from one of our custom BBQ food trucks in San Mateo & Santa Clara county or through one of our corporate or private catering events. We also offer BBQ delivery in San Francisco, Peninsula, and San Jose, or pick up service for local or smaller orders. So whether you are planning the wedding of your dreams or just trying to feed your group, let our professional catering team make your event a breeze and impress your guests.